Design: The 4G LTE PlayBook is still a great looking tablet in my book. 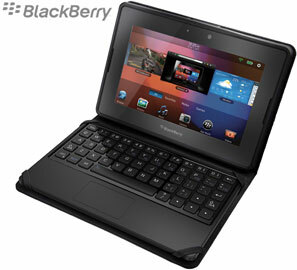 It's solid all around with no excess and keeps true to great BlackBerry design. Feel: I still love the feel and form of the 4G PlayBook. It's identical to the Wi-Fi version and the 7" size is perfect for a tablet. Performance: The 4G LTE PlayBook is noticeably faster than the Wi-Fi version. The added processing power gives it much welcomed extra kick. Quality: This is a well-built device - no question. It's solid all around and doesn't feel cheap in any areas. The ritual unboxing of the 4G LTE BlackBerry PlayBook. The upgraded processor and LTE are nice additions and add to the overall PlayBook experience. Everything just seems to work more fluidly vs. the Wi-Fi version. RIM's ecosystem isn't huge and it doesn't have as many apps available as Android or iOS but there is more to buying a tablet than just games and apps. The experience as a whole has to be considered and for what the 4G LTE PlayBook offers it's an option that shouldn't be dismissed. Memory: Available in 32GB version only. 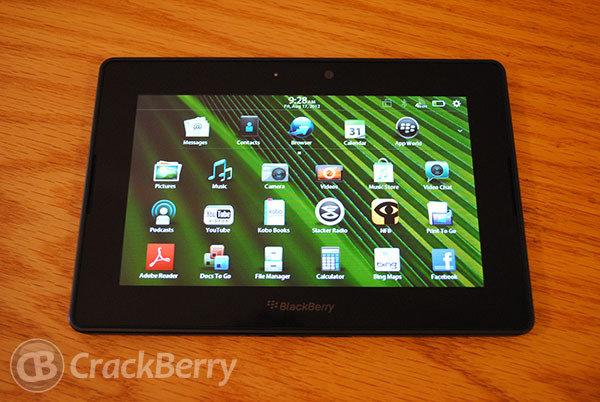 When the original BlackBerry PlayBook came out, it was fairly easy to fall in love with the hardware. It's a beautiful piece of equipment and that remains true for the 4G LTE BlackBerry PlayBook as well. When you first look at the 4G LTE PlayBook, you would be hard pressed to tell the difference from the Wi-Fi version and in this case, that's a good thing. Everything great about the original PlayBook has made it's way here. And some stuff that wasn't so great about the original PlayBook has been addressed. Yes, the power button hoopla has been addressed. In fact, it was addressed long ago. As you can see, the label has been expanded on the bottom to better properly identify the device. Instead of just the size designation, you now have that LTE badging there. In addition to that, and what I assume is some sort of FCC requirement, the serial number and other device identifying properties have been moved around. Nothing huge. You'll also notice when looking at the charging plugs on the bottom, they've changed those. Rather then being concave like they are on the BlackBerry PlayBook Wi-Fi, they now stick straight out. I'm not aware of any issues when using the BlackBerry Charging Pod for the BlackBerry PlayBook but I can see how the changes might help when using that. Seems it may allow for better contact with the plugs on the charging pod ensuring maximum charging. The other obvious and necessary change comes by way of the addition of a microSIM card slot. You'll find it on the bottom of the device and it blends in rather well, all things considered. The microSIM tray slides out with ease and the microSIM fits in there just perfectly fine. If you managed to put the SIM in your BlackBerry or have ever taken it out, it should only take you a few seconds to note the cut off corner and properly place the microSIM in there properly. If you're having issues though, no matter. Here's a video to help guide you. 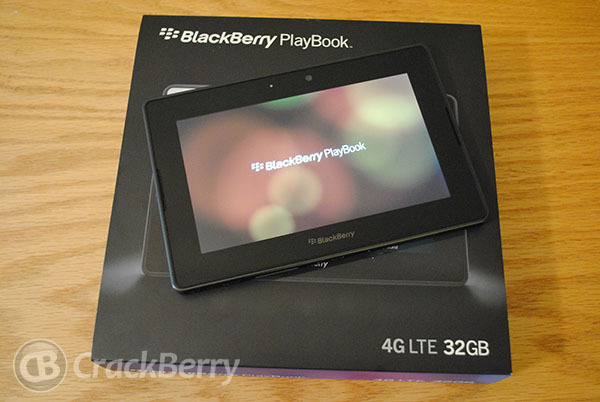 As for build quality, the 4G LTE PlayBook seems on par with the BlackBerry PlayBook Wi-Fi. I personally never had any issues with my Wi-Fi version such as dead pixels, lowered power buttons or well, anything really. 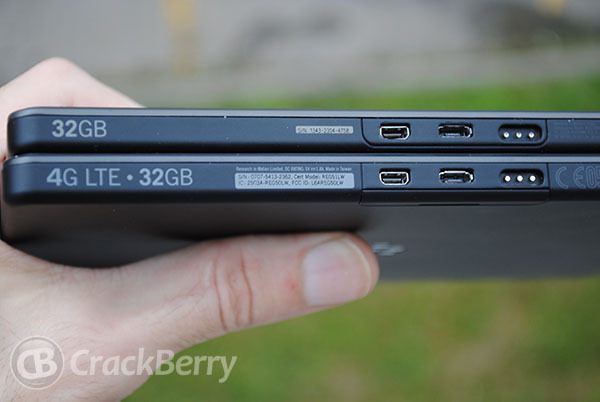 Same for the 4G LTE BlackBerry PlayBook. Out of the box it looks great, feels solid, has no loose parts and no dead pixels. All good. That said; I'm certainly not making any promises there aren't a few lemons out there. It's a given a few will show up. 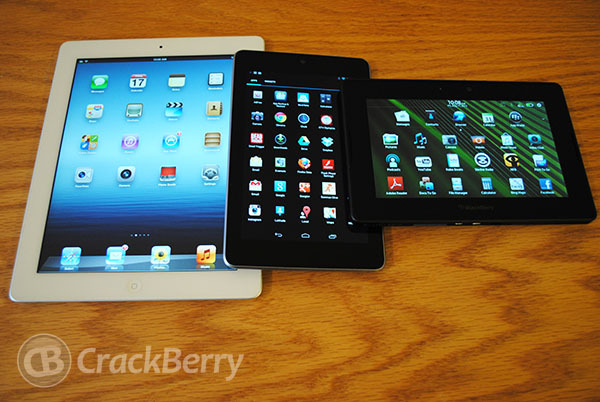 I have accumulated a lot of tablets over my time, a Motorola XOOM, a Samsung Galaxy Tab 10.1, a new iPad and most recently a Nexus 7 but none of them feel as good to hold in the hands as the BlackBerry PlayBook. There is just something about the way a BlackBerry PlayBook feels in the hands. The Nexus 7 comes close, but the out of the box portrait set-up of it hinders that feeling. Sure, it can be changed, but why should I have to change the LCD density on my tablet to make it behave how I expect when the PlayBook just comes that way? Overall the form factor is great, though I do personally take some issues with browsing the web. It's not only a PlayBook issue either; it's pretty much any 7-inch tablet. I constantly feel as though I'm not seeing enough on the screen and have to scroll down numerous times to see all the content I want to see. Flipping over to portrait helps some of this but alas, that also creates some formatting issues on some sites as well. Again, not PlayBook specific and I know not everyone feels that way but it something to keep in mind when going for any tablet that is 7-Inches. Unlike the original BlackBerry PlayBook Wi-Fi when it was released, the 4G LTE BlackBerry PlayBook comes loaded with most of the essential tools you'd expect. Calendar, Email, Contacts, Messages, Video Chat. Sadly, native BBM is still missing but BlackBerry Bridge is there to help with that. While BlackBerry users never really had a problem with the things that were missing, many others did and they can't pull the same jokes with the release of the 4G LTE BlackBerry PlayBook as they did with the BlackBerry PlayBook Wi-Fi. Yeah, RIM -- the company who pioneered email -- shipped native email on the BlackBerry PlayBook ... finally. Move along. We were hoping the 4G LTE BlackBerry PlayBook would launch with OS 2.1 and all the additional goodies it will bring, that didn't happen for whatever reason. Instead, it launched with OS 2.0.1.668. We'll forgive RIM in this case, because we know that OS 2.1 is well under development and will be released soon enough. 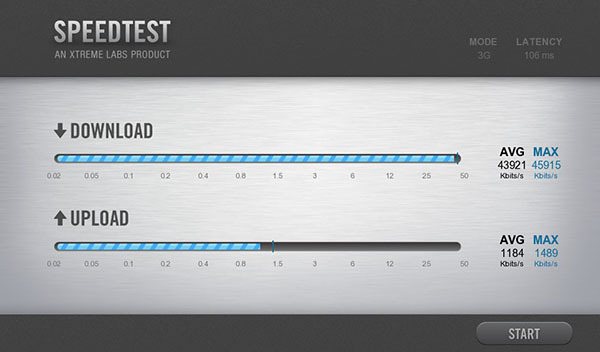 Fact is that RIM is at even higher builds now than what they delivered to developers to test out only a few days ago. Plus, all versions of the BlackBerry PlayBook will eventually be upgraded to BlackBerry 10 as well and that's a good thing to know if you're considering the longevity of your purchase. 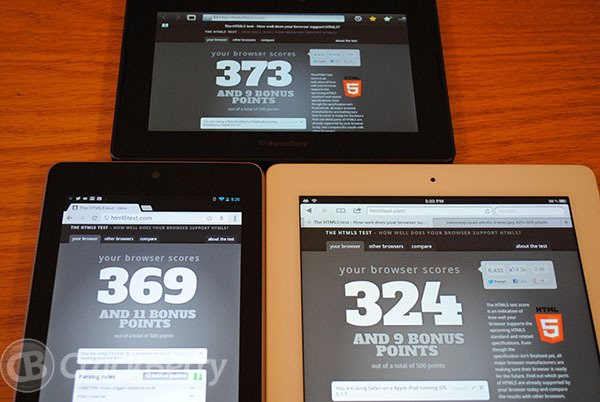 One stand out difference on the 4G LTE BlackBerry PlayBook vs. BlackBerry PlayBook Wi-Fi is the browser performance. As noted, RIM opted to go with OS 2.0.1.668 for the OS but that's not even the best OS for browsing performance they have. 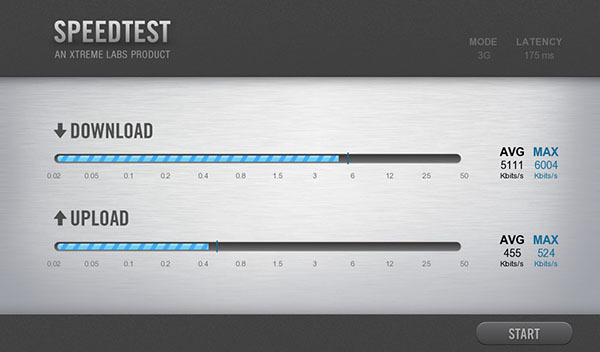 The best OS they have is 2.1.0.840 and it scores rather high across the board with the HTML5 test. The lower the score, the better it is. Are the tests definitive? Not at all but they certainly show the BlackBerry PlayBook excelling in the browser area and even more so on the 4G LTE BlackBerry PlayBook when combined with that 1.5GHz TI OMAP 4460 processor. 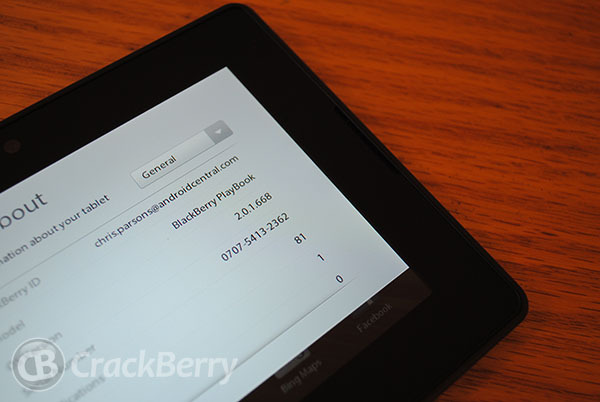 The original BlackBerry PlayBook Wi-Fi shipped with a TI OMAP 4430 Dual-Core processor clocked at 1GHz. 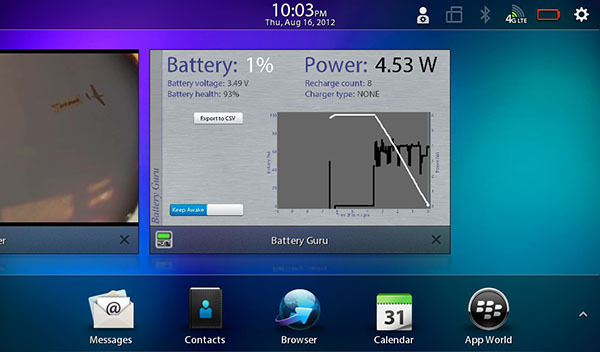 The BlackBerry PlayBook 4G LTE however took it a couple steps further and introduced a TI OMAP 4460 Dual-Core processor clocked at 1.5GHz. Rightfully, the question upon hearing that news was always "Will it be faster?". We put it to the test in the videos below and overall, when all things are considered it certainly does help a bit. To say the difference is overwhelming wouldn't be accurate but side-by-side there is a difference. Apps install faster, the 4G LTE PlayBook reboots faster, the browser renders pages faster -- everything is just slightly a bit faster. The problem with saying that though is that different people have different needs. Not everyone cares if an app opens up 3 seconds faster. Not everyone cares if the web pages load 3 seconds faster. Not everyone cares if they have to wait a minute longer for their device to reboot. Heck, some people may not even notice it happening unless it was directly pointed out to them. The change is notable, not significant. When I did the processor tests for the BlackBerry PlayBook Wi-Fi vs. 4G LTE BlackBerry PlayBook, a lot of people had concerns with such things as the Wi-Fi wasn't fully charged and that I should have done a Wi-Fi vs. Wi-Fi test to see if there was going to be any difference there. After reading the comments, I took the suggestions and tested them out. Unsurprisingly to me, there was no difference. The 4G LTE PlayBook still had the advantage in all situations it did in the video above. Exact same OS loaded, exact same charge in both, exact same webpages loaded after clearing cache's and local storage files. Exact same results. 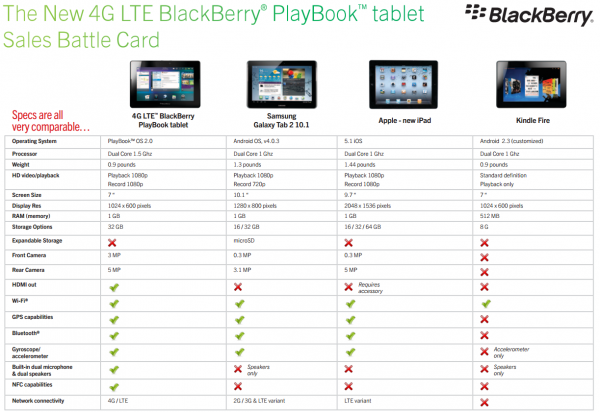 Whatever RIM did to the 4G LTE PlayBook, it has the advantage. Whether that lies in the processor or somewhere in the OS itself. Point blank, if those extra seconds mean all the difference to you and you're thinking about buying the 4G LTE PlayBook or upgrading from the BlackBerry PlayBook Wi-Fi -- do it. In my testing of the 4G LTE PlayBook at night in bed reading, I happened to notice some slight differences between the two displays that I really can't explain. 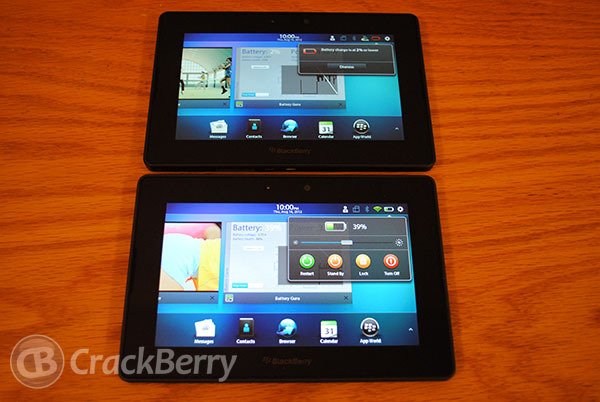 The 4G LTE PlayBook is confirmed to be using the exact same display as the original BlackBerry PlayBook Wi-Fi, but as you can see above, the 4G LTE version on top does seem to display things a little warmer. I'd likely have never noticed it if it wasn't for having them both available to compare but there is a difference. Problem with this situation is that you can never tell if it's a defect, on purpose or like in the case of some Apple devices, a problem that will go away over time. 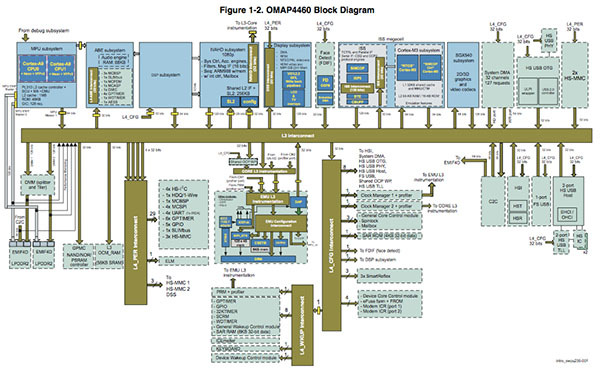 Until the 4G LTE PlayBook gets into more hands, it's hard to say. LTE is great! That is, until it comes to battery life. I knew going into this the 4G LTE BlackBerry PlayBook was gonna lose the battery battle. 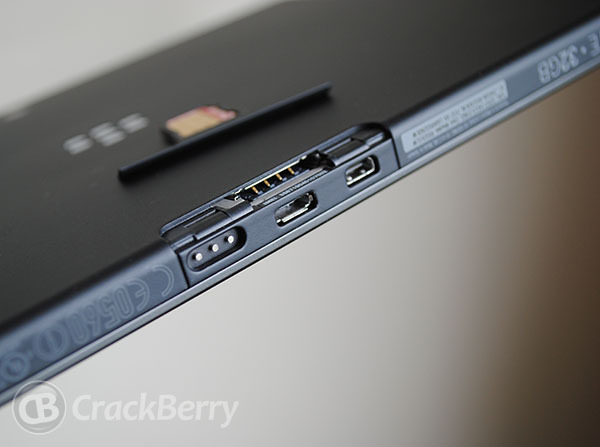 It's working on a smaller 4300mAh battery vs. the 5300mAh in the BlackBerry PlayBook Wi-Fi. I'm sure RIM did this to save space inside for the LTE radio but it's something you're really going to have to take into account. To set it all up: Both devices are running OS 2.0.1.668, both charged to 100 percent. Both with their displays set to 50 percent. The LTE PlayBook was set to LTE. The Wi-Fi PlayBook set to Wi-Fi. With Battery Guru installed to monitor it all, open up the browser and head to Infinitelooper and loop Gangnam Style for hours on end. Result: The 4G LTE PlayBook choked out at around 3 hours and 45 mins, while the BlackBerry PlayBook Wi-Fi kept chugging along for another 2 hours and 40 mins. Keeping in mind that was over LTE and Wi-Fi I then began the exact same testing using Wi-Fi vs. Wi-Fi. The results that time around faired a little better for the 4G LTE version as both tablets reached around 6 hours and some odd minutes. Only one other item to check after Wi-Fi and LTE. Again, same settings all in place I started the process of testing just HSPA+ against the Wi-Fi only version. This is the part that kind of baffles me, even though I wasn't use LTE but instead using HSPA+ the 4G LTE PlayBook still gave around 4 hours while the W-Fi version again, chugged along. Conclusion: If you're sole use is going to be Wi-Fi, you really shouldn't see much difference. But if you're going to be making use of LTE/HSPA+ be prepared to charge your PlayBook quite a bit. LTE and HSPA+ are battery hungry, it's just that simple. Some fun info, the 4G LTE PlayBook appears to use a lower volted, higher power consuming battery then that of the PlayBook Wi-Fi according to Battery Guru. 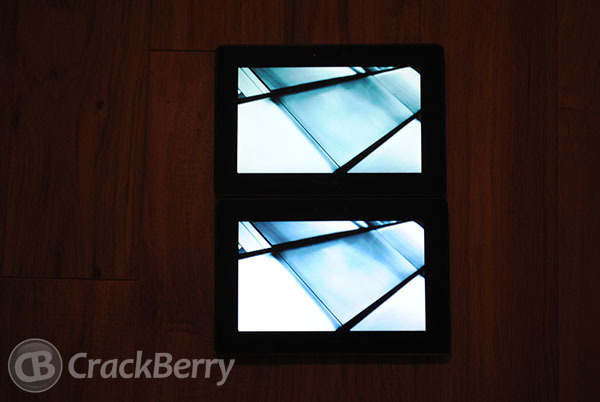 The biggest draw for the 4G LTE BlackBerry PlayBook is well, the 4G LTE. And it works amazingly well. 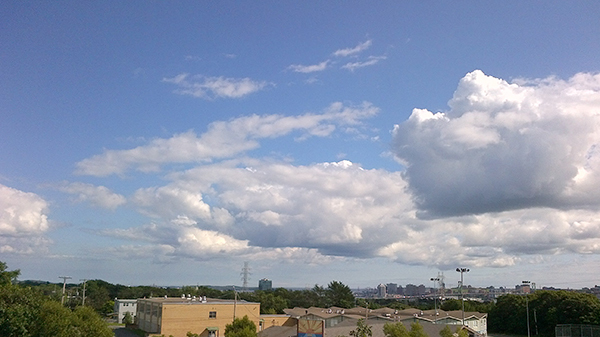 Testing it out in Halifax on Rogers, which is newly crowned LTE territory for Rogers, was great. Speeds blew past my paltry cable connection and consistently hit well into 40Mbps or if you prefer the other way to look at it, 5MB/s. Uploads were also consistent though not as great, sitting around that 1Mbps mark. That seems pretty standard across carriers. Give you fast downloads, not so fast uploads. Even my TELUS 4G LTE account was the same when I tested it on the 4G LTE PlayBook. If HSPA+ is what you'll be attached to more often than not due to your carrier coverage, you don't have much to worry about there either -- the 4G LTE PlayBook handles it all like a champ. My Rogers HSPA+ coverage is great but depending on your coverage you should see speeds around 4-5Mbps down with those glorious 56KB/s upload speeds up. It's only bad when you compare it to LTE and again, your carrier coverage plays a huge factor here. Generally speaking, I don't think the speed tests should really be used for speed comparisons but rather a determination on how whether or not RIM has the LTE radio chops like they did on GSM. Overall, given this is the first LTE device from RIM, I'd say they have the LTE Radios down pat already. By the time a BlackBerry 10 device comes out, they'll be rockin. Bluetooth: Some interesting notes under the Bluetooth section though, RIM has the device registered as having Bluetooth 3.1 although, that doesn't seem to be a standard protocol. A lot of devices are noted to have Bluetooth 3.1 but the Bluetooth Special Interest Group hasn't set a standard for it. In any case, the profiles most folks use are there and work fine as kind in my testing. 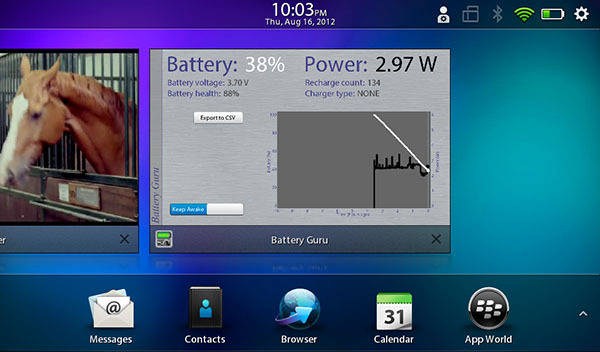 GPS: If you've used GPS on the BlackBerry PlayBook Wi-Fi then you already know it's not the greatest. It takes forever to spin up and when it does, unless you're outside on a sunny day without a cloud in the sky it's pretty much useless. That's been my experience with it, others may argue. The 4G LTE PlayBook though has been a very clear different story for me. Using the included Bing maps on my patio, pinpoints me right to my building. Straying outside of Bing maps I decided to download GPS test from BlackBerry App World to give it a go in comparison to my PlayBook Wi-Fi. GPS tester ended up pulling up the coordinates faster on the 4G LTE PlayBook then on the PlayBook Wi-Fi hands down. Wi-Fi: If you were to look in the CrackBerry PlayBook forums to find people having issues with Wi-Fi on their PlayBooks you would find several threads. In my personal experience with both the Wi-Fi version and 4G LTE version of the BlackBerry PlayBook I've never had any issues. It just works for me. I don't doubt some folks have issues with different routers and such but none here to complain about. NFC: This is is rather interesting. Numerous leaks leading up to the release of the 4G LTE PlayBook showed it as having NFC. When the LTE version arrived, documentation from carriers even showed support for it. Alas, it is there. The hardware supports it you just can't make use of it because RIM never turned it on in the OS. Will they eventually? Probably. When will that be? BlackBerry 10 I'm guessing. Until then it's a moot point. Nothing has changed on the camera and video front. In other words, the camera takes fairly decent photos and under the right conditions, really great video. As Kevin always says, with the BlackBerry PlayBook you don't have to feel like as much of a tool should you want to take it out of your coat pocket and snap a pic or capture a video. Trust me, you don't want to be one of these people. This is a sample video shot with my BlackBerry PlayBook Wi-Fi from Orlando, Florida. It was only shot in 720p although the PlayBook is capable of 1080p. 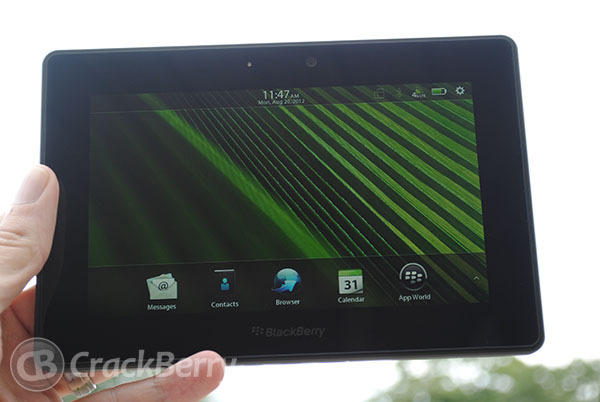 You can expect the same from the 4G LTE BlackBerry PlayBook. No doubt you'll find more if you start looking harder considering the amount of Android tablets that are out there but they're not the latest and greatest and some I personally wouldn't even give the time of day. Heck, even some above aren't really worth what you'd be paying given how long they've been on the market and their potential upgrade paths. The only Android tablet I would consider purchasing is a Nexus 7 and it doesn't have LTE nor 32GB of storage. The iPad is a great option but coming in a couple hundred dollars more than anything else may make it a non-starter for some folks out there and understandably so. That's not to say the 4G LTE PlayBook is cheap either. it's a car payment, rent or mortgage payment, groceries in the fridge. No matter how you look at it $550 is a lot to lay down on a tablet that will just diminish in value over time. I leave the value proposition of the 4G LTE PlayBook in your capable hands and suggest that if you're looking to buy a tablet, buy what fits your needs or whatever you perceive to be the best value. After all, it's your money and you who is using it. You'll have to decide which ecosystem you want to invest in, how much it will cost you, which one has the stuff you need and want to use. 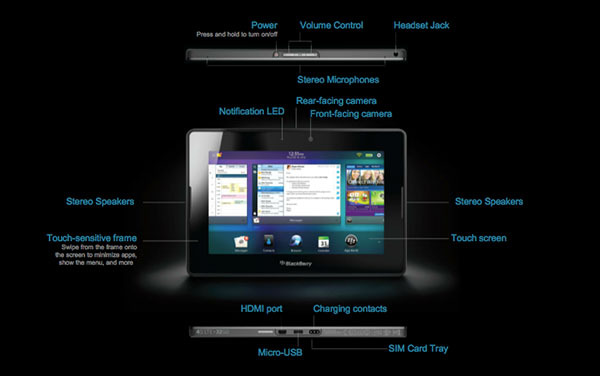 After you get your 4G LTE BlackBerry PlayBook up and running you'll certainly want to grab some accessories to go along with it. If you're already a BlackBerry PlayBook Wi-Fi owner all of your previous accessories will work but, you can always grab some of that non-transferrable stuff or just pick up something special for your new tablet. At ShopCrackBerry.com we have just what you need - from cases to chargers to batteries and more. We get new items in stock every day, so if you don't see what you want now, just check back later. And with great international shipping options, you can get accessories almost anywhere in the world within a few days. I thought for a very long time on how to close out this review. Reason being, anyone who knows me knows I often switch devices. I do use an iPhone, I do use a Samsung Galaxy Note, I do use a Samsung Galaxy Nexus and I do use a BlackBerry Bold 9900. 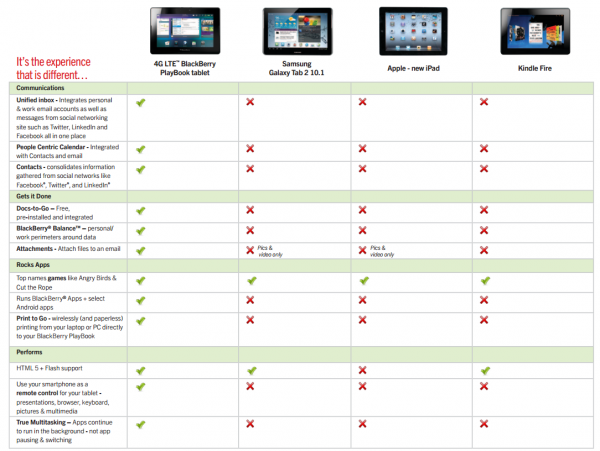 Looking at that device list, you'll notice one singular thing that is common about all of them. They offer me the chance to use any of them as a wireless HotSpot, meaning I can turn that functionality on and can connect my BlackBerry PlayBook Wi-Fi to them at any point for either a HSPA+ or LTE connection depending on the device. In my case, there is no justification for me to pick up a 4G LTE BlackBerry PlayBook because I can do what it does already connection wise with my current devices. 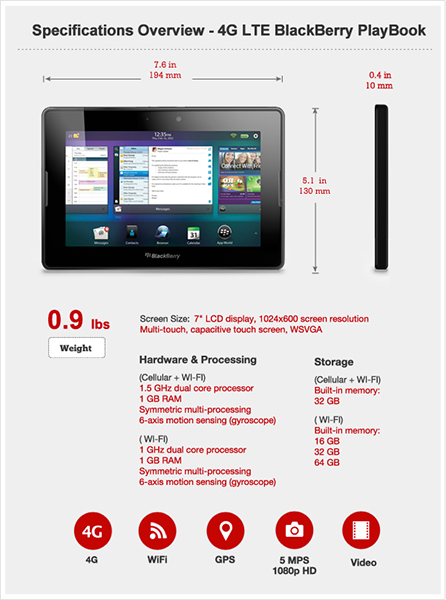 The incentives are reduced at that point to 'Do I want a BlackBerry PlayBook with a 1.5GHz processor?' In which case, for the cost of it -- no I don't. That said, I'm not the average consumer. I'm a tech whore and I don't fit average and not everyone has numerous tablets and numerous other phones available to them. 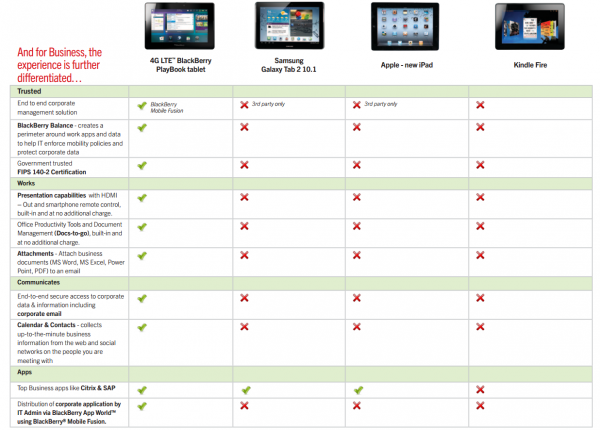 For folks who already have a BlackBerry PlayBook Wi-Fi or are thinking about picking up a 4G LTE PlayBook, the choice is tougher. Yes, you'll get 4G LTE and the faster processor but you'll be paying for it. Whether you go with a contract and data plan or you go out and buy it off contract, there will be a rather significant amount of money spent. Taking a step back and trying to envision myself as just a regular customer with some technological knowledge, the 4G LTE BlackBerry PlayBook is a great option over some of the other tablets out there. Sure, RIM's ecosystem isn't huge and it doesn't have as many apps available as Android or iOS but there is more to buying a tablet than just games and apps. The experience as a whole has to be considered and for what the 4G LTE PlayBook offers at its price point, it's an option that shouldn't be dismissed.